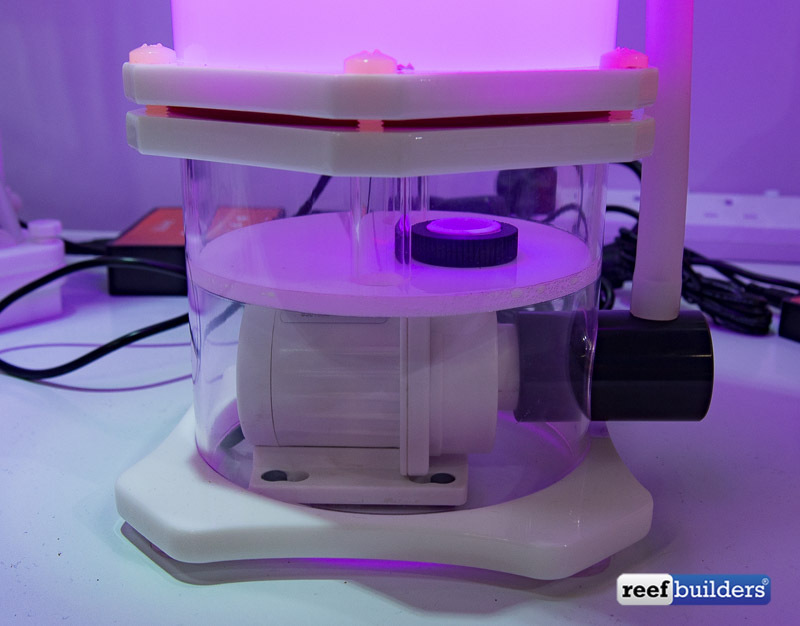 The Skimz macroalgae filter reactor is an interesting take on a product category which is beginning to gain a lot of traction in the aquarium hobby. 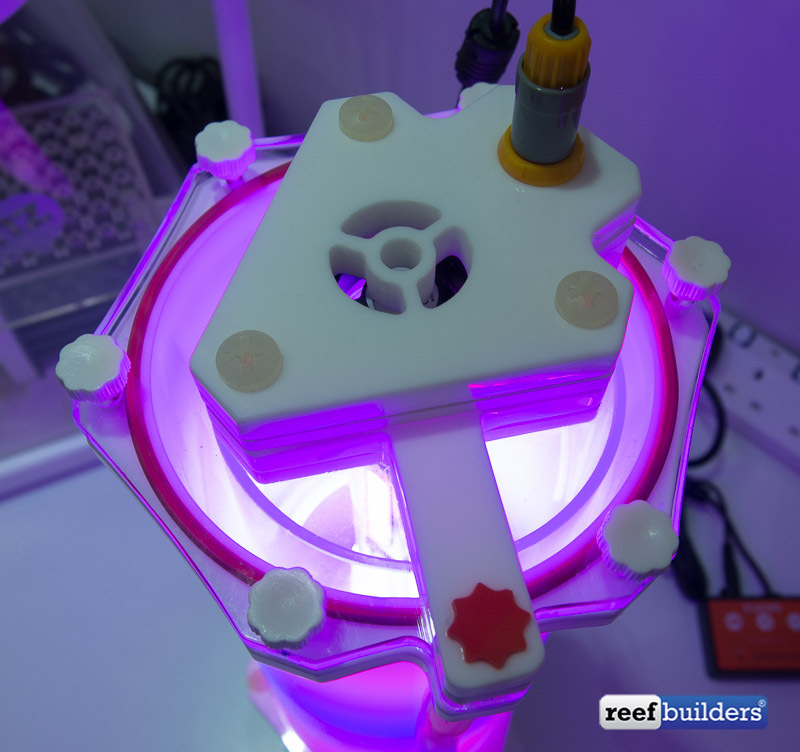 The singaporean aquarium product company is quite prolific when it comes to experimenting with different protein skimmer types, and especially with body geometries, so their new macroalgae filter is a logical progression of their creativity. 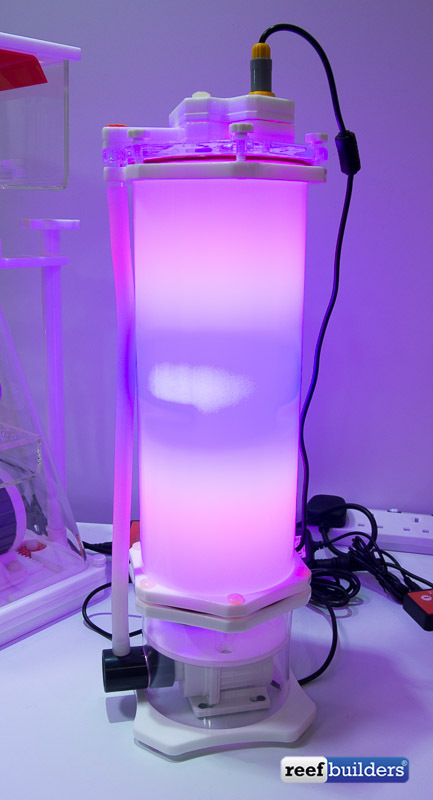 Skimz is the first to offer a macroalgae filter / chaetomorpha reactor with a built-in pump. 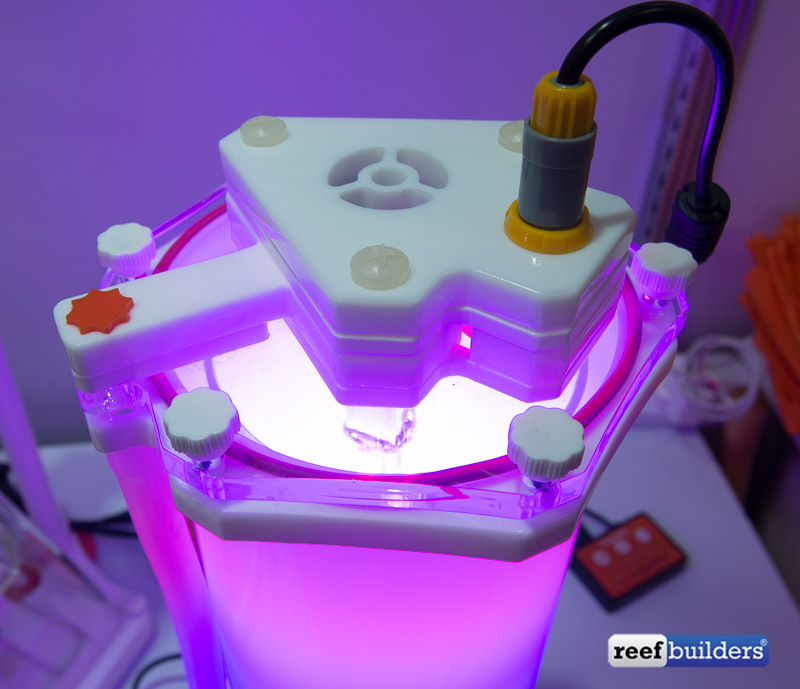 For their algae filter they’ve paired it up with a controllable DC pump so you can easily dial in the desired or necessary flowrate to optimize both algae growth, and the desired rate of nutrient uptake through the entire reaction chamber. The in-sump reactor requires no plumbing as the DC pump draws directly from the sump with a basic outlet directing water flow out in the base of the body as well. 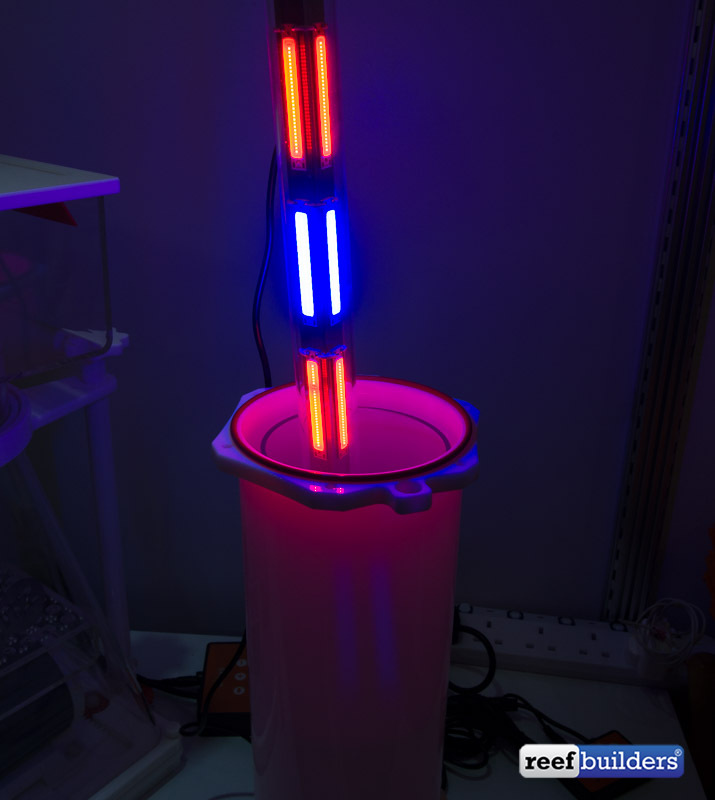 The light included in the skimz macroalgae scrubber is also an interesting design, with small multichips of alternating pure red and pure blue LEDs. The top-mouted fan for cooling the LEDs seems like it could be a liability for long term use, especially inside the sump. 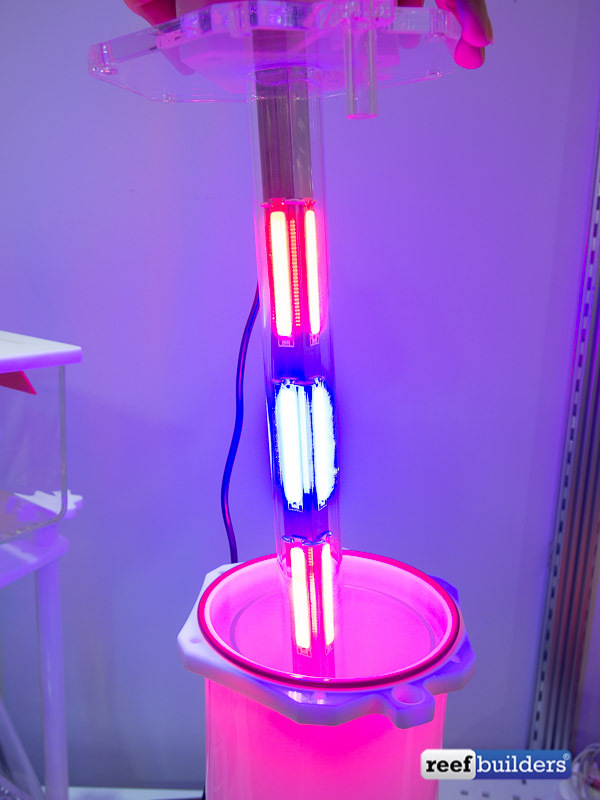 But since this new product from Skimz is an early version prototype, there is definitely room for improving both the choice of lighting down the center of the reactor, and the method of cooling those lights inside an enclosed tube.